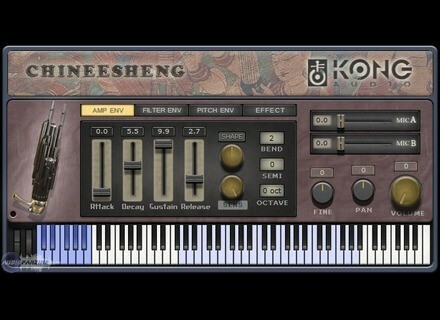 ChineeSheng: The Mouth Organ of Concord, Other Virtual Intrument from Kong Audio. 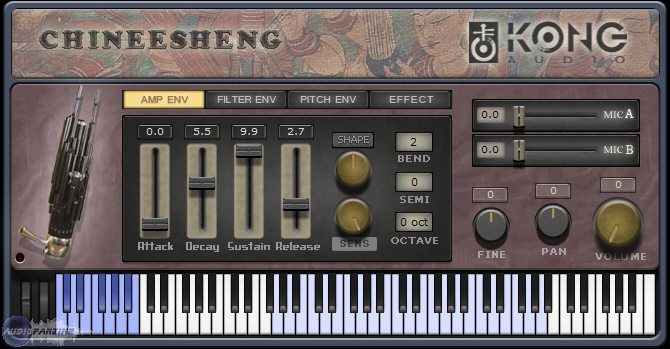 Kong Audio has announced the release of the 10th installment in the Chinee Series product line: ChineeSheng: The Mouth Organ of Concord, and the introduction the Essential China Pack. ChineeSheng - "The Mouth Organ of Concord" is the 10th installment in Kong Audio's Chinee Series product line. Due to its portability and polyphonic nature, Sheng is described as one of the few common accompanying instruments in Chinese music. ChineeSheng (in D) contains various types of long tones, vibratos, spit tongues, roll tongues, chorus, and various playing expressions. The note range is from A3--F#6. The 270 MB sample set was recorded in 24 bit / 96 kHz. ChineeSheng is priced at $60. Windows XP/VISTA. 512mb RAM. NO 64-bit HOST support. Can be used in 32-bit hosts under 64-bit OS. Ableton Live Updated to v8.0.3 Ableton has updated Live to v8.0.3.